This Bistro Table is built using recently retired wine barrels. 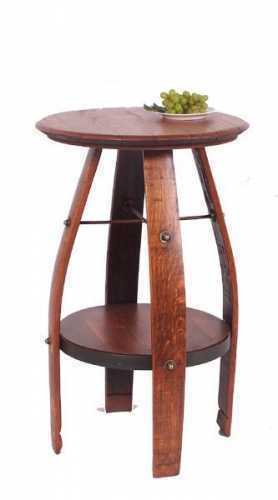 .Bistro table features an authentic, branded barrel head top. Top dimentions may vary. 35" x 23" x 23"